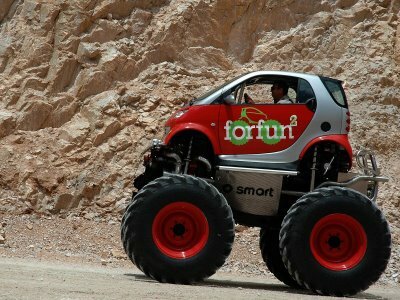 Here is a Smart monster car. It is a SMART monster truck. It would make sense that it has the eCS ball on it. All times are EDT. The time is now 06:50 PM.